Apple had a product and services pageant in California on Monday (March 25), and while you have no doubt heard about the star attraction, at least from a payments point of view — Apple Card credit card — there were other newsworthy parts of the event, including an appearance by Steven Spielberg (lately making headlines regarding his views of Netflix movies and their Oscar potential). The Apple event, heavy on subscription commerce offerings, took place at time when the company is trying to find more revenue from services given recent stumbles with iPhone sales — a move that seems to be pleasing at least some investors lately. Part of that satisfaction derived from anticipation about Apple’s Monday event, including its launch of Apple TV Plus for original programming. The content streaming announcement was long expected, and in recent weeks, as the launch approached, sources said that Netflix and Hulu were not expected to participate in it. One sticking point could be that Apple wants to keep 30 percent on every customer that subscribes to an over-the-top video service — a significant increase from the 15 percent it currently takes from customers that sign up to streaming apps through the App Store. During the Monday event, Apple also said it would offer a more muscular online news subscription service — one that not only includes newspapers but some 300 magazines and costs $9.99 per month. The service reportedly also will offer recommendations for other news stories based on the magazines being read by subscribers. One selling point of this service? Privacy. Apple reportedly said that the service will not allow advertisers to track what subscribers are reading, which means no targeted ads based on consumed news stories, as is the case with social media. Top-level success in subscription commerce requires operators to be fast with transactions, and very informative to consumers about the benefits and process of the retail program, among other traits. That’s according to the PYMNTS Subscription Commerce Conversion Index — the best performers in that space meet those consumer demands. 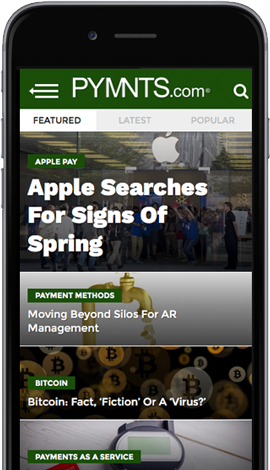 Subscription commerce winners also provide secure, flexible and clear transactions, underscoring the role of payments to Apple’s plans for its subscription programs. The Apple gaming move on Monday comes days after Google announced the launch of its Stadia gaming service, an offering based on cloud technology, and which negates the need for specific and often pricey gaming hardware. It wasn’t just the Apple Card credit card that made headlines Monday for Apple — the company also made bigger bets on subscription commerce and streamed content, highlighting some of the larger trends in digital payments and commerce.